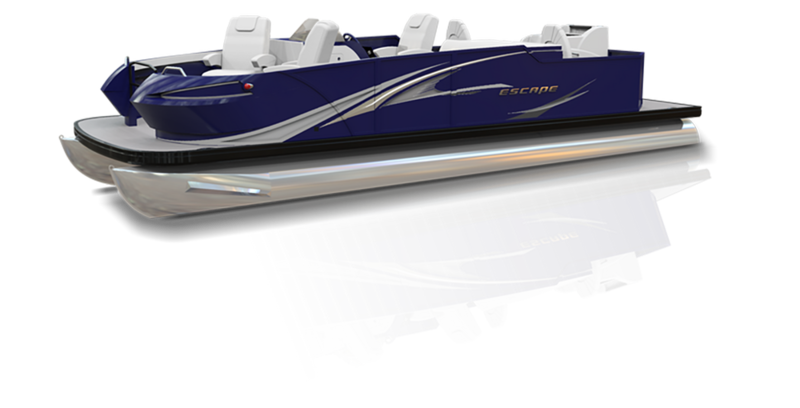 While RT Series pontoons have traditional tubes at the waterline, what lies above is anything but ordinary. You’ll love the graceful fiberglass corners and smooth fencing with regal paint and graphics. Inside, extraordinary furnishings will cradle you and your family in comfort. Making your great Escape just got easier with the Larson Escape CRUZE. 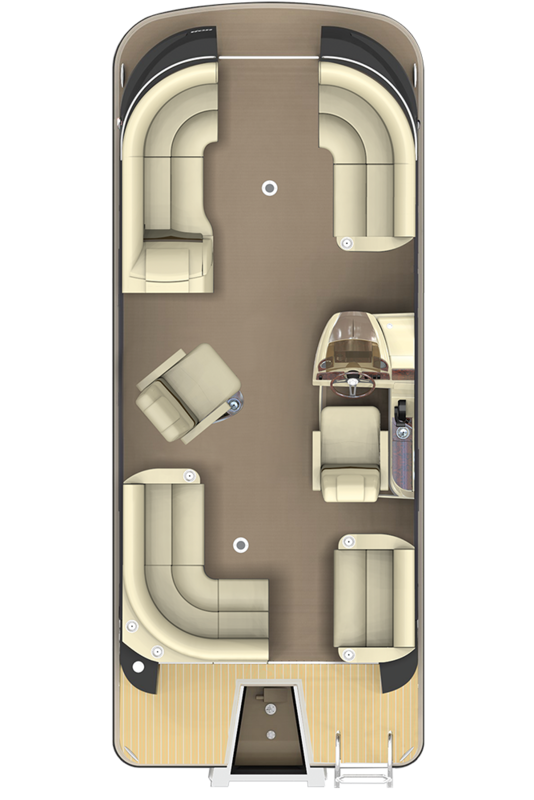 This stylish and simply appointed Escape pontoon is tailor made for families who want to enjoy the pleasures of pontooning at a friendly price. 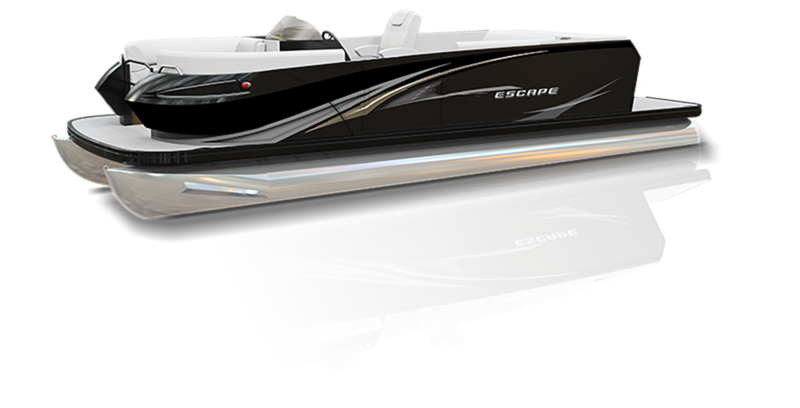 Welcome to the Escape family. 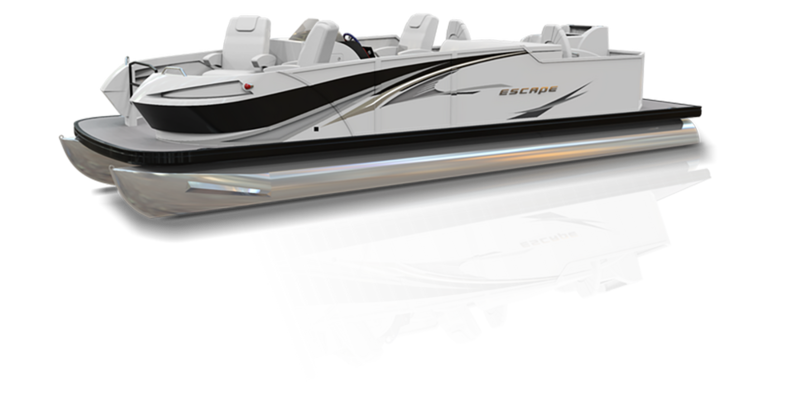 from 20’ twin to 24’ triple, the RT Cruise combines, comfort, style and performance in a pontoon/runabout hybrid that will turn heads while it turns on a dime. As the name suggests, this is truly the best of both worlds. 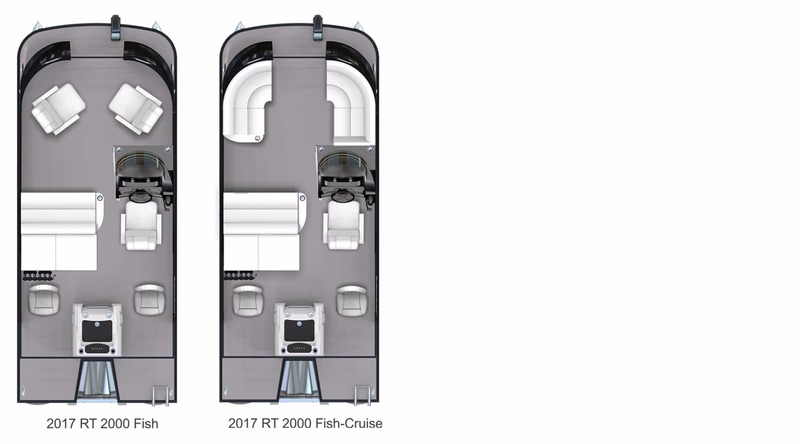 Whether you’re catching fish or the family is catching a tan, this Escape offers the perfect floor plan, features and performance. 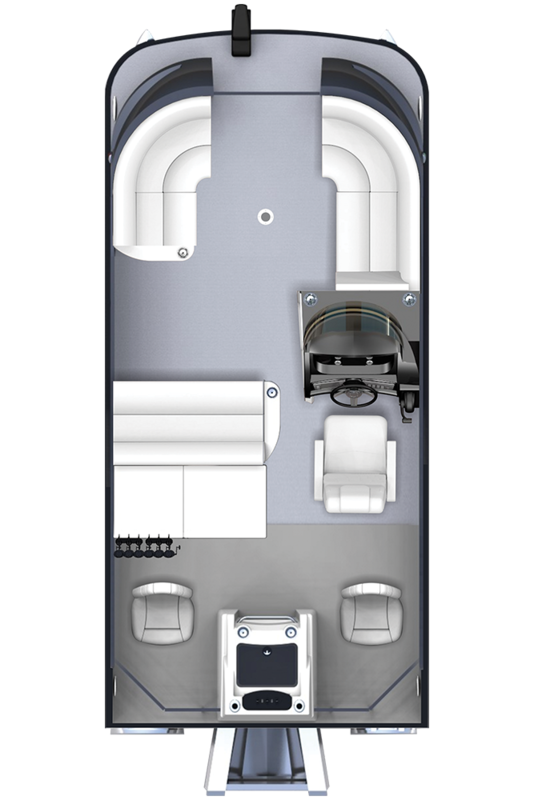 The Escape RT Fish delivers total fishability from bow to stern with an ideal floor plan, a host of standard and optional features, along with tons of storage. All in one impressive package.